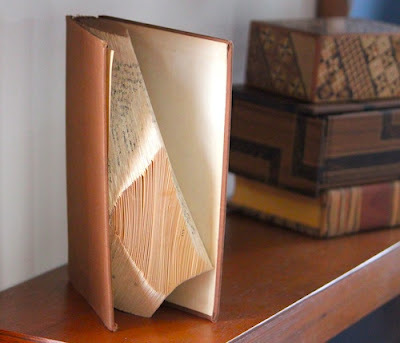 The ongoing trend of projects using old books and book pages has captured my fancy. Ever since the wonderful Anthropologie windows, we have all been following the trend. I am no exception. I have been pinning examples, hoarding books and collecting more. Here are some of the examples that have inspired me. The first two are by artist Daniel Lai Kenjio and his work is available in his Etsy shop. 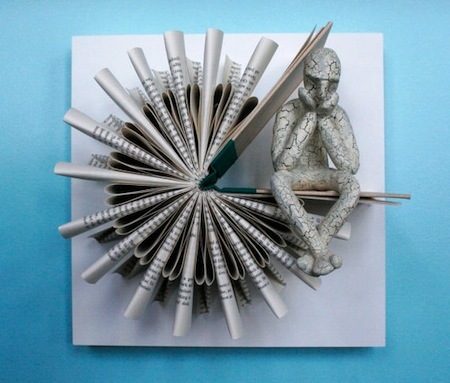 His work clearly becomes sculptural with the added figurines. 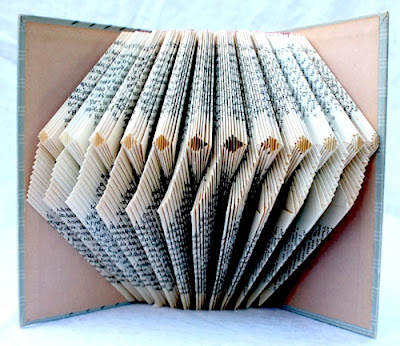 Altered Book Art has a wide variation of approaches but I am especially drawn to the ones that include page folding. 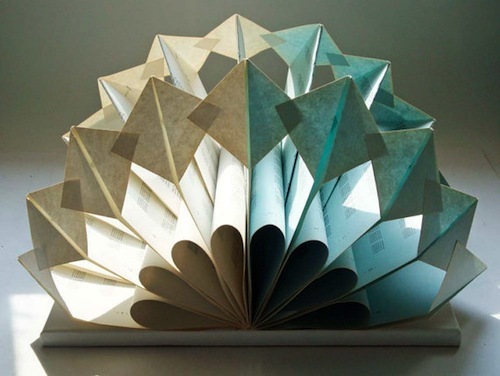 It exemplifies my love of origami and geometry. 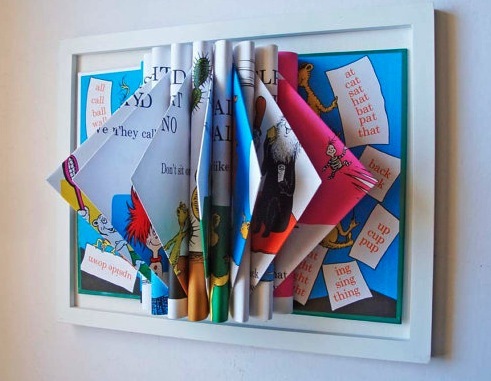 Including Dr. Seuss Books for decor in children's rooms! I also like the work of Rhymes with Magic also on Etsy. I first started noticing altered book art several years ago when my daughter and SIL gave me a book skillfully folded by Katya Marritz in 2007. 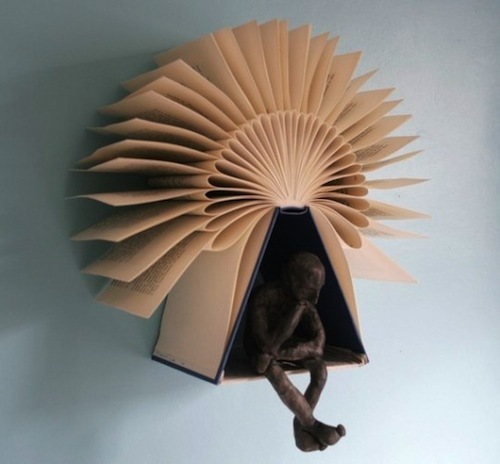 I had never seen it before and was absolutely taken by the concept. All of these have inspired me, got me folding, and thinking and planning. All of which is good for a crafter like me! Thanks so much for featuring a couple of my works!! Really appreciate it!